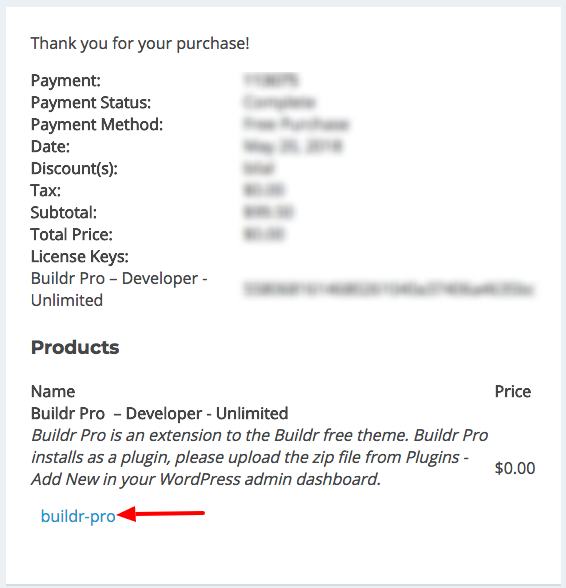 When you make a purchase, you can immediately download your purchased plugin or theme from the Checkout page. On the checkout page, you will see your license key, as well as the product name, highlighted. Clicking that will immediately download your purchased product. You will also receive an email, containing the license key, as well as a link which will download your purchased plugin or theme. Please be advised that for security reasons, these links expire. The easiest way to download your product again, is to login to your account on smartcatdesign.net. From there, you will see a list of all your purchases, as well as links to download your products and view your license keys. Click here to go to your account page. How can I upgrade my license? How do I manage my license?